How do I connect my bot to a Facebook page? 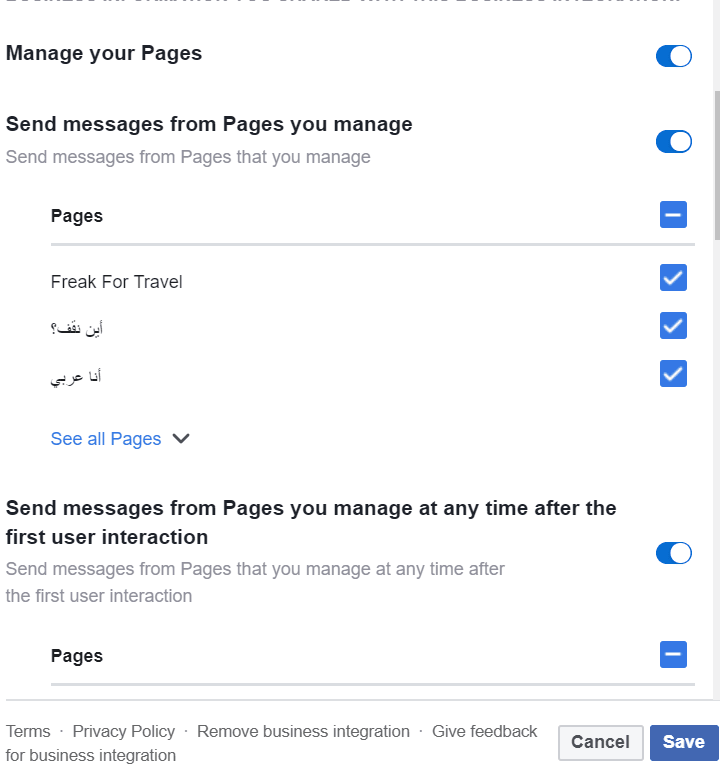 If your page is not visible in the list of pages you are trying to connect your bot to, then from your facebook account, go to Business integrations. Then open the Octane AI and chose to open and edit, under pages you will find all the created pages on your account. Just make sure the checkbox for the page you want connected. Save the pages and try to reconnect, it should work.